Although trends vary from year to year, over time each fashion week has developed its own distinct character that transcends the seasons: think Milan‘s maximalist attitude or London’s eclecticism. When it comes to Paris, however, there’s an outdated notion that the city’s fashion-lovers exclusively waft around in Breton tops and perfectly cut trousers. 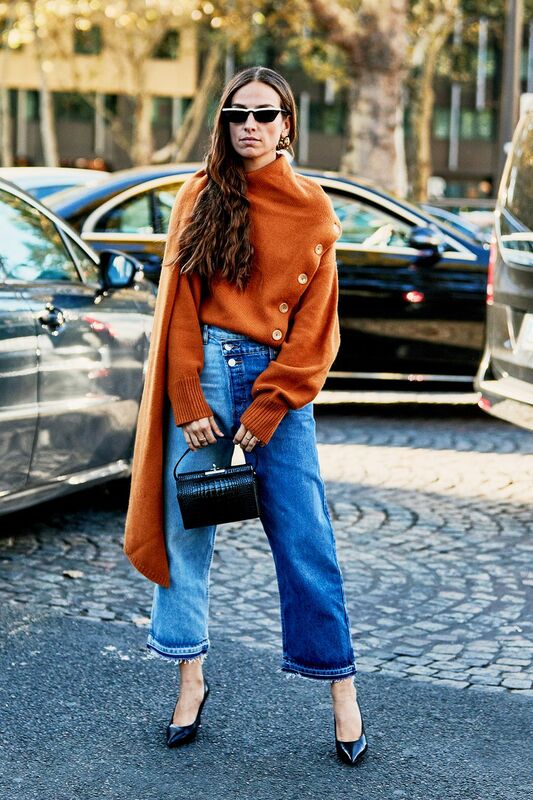 While the capital certainly harbors a tradition for well-made staples, we can safely say that, if this season’s street style imagery is anything to go by, Paris Fashion Week‘s aesthetic is anything but basic. From bold animal print (who said French women don’t do leopard?) 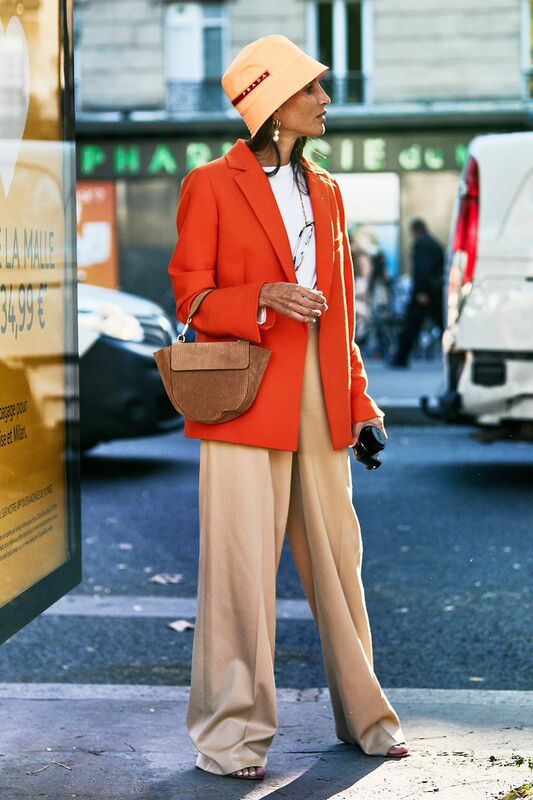 and head-to-toe leather to colour-pop orange and slogan knits, the statement looks were out in force, giving us plenty of autumn style inspiration for the coming months. At least one cliché rings true: Gallic girls certainly know how to put together a good outfit. Scroll down to see all our favourite looks. Style Notes: Charlotte Groeneveld of The Fashion Guitar fame really gets her outfit proportions right in this autumnal get-up. A midi skirt, knee-high boots and oversized jacket feels very fresh right now. Style Notes: Leopard print coats are topping our autumn wishlist thanks to this stylish show-goer, who cleverly keeps the rest of her outfit paired-back with minimalist accessories. 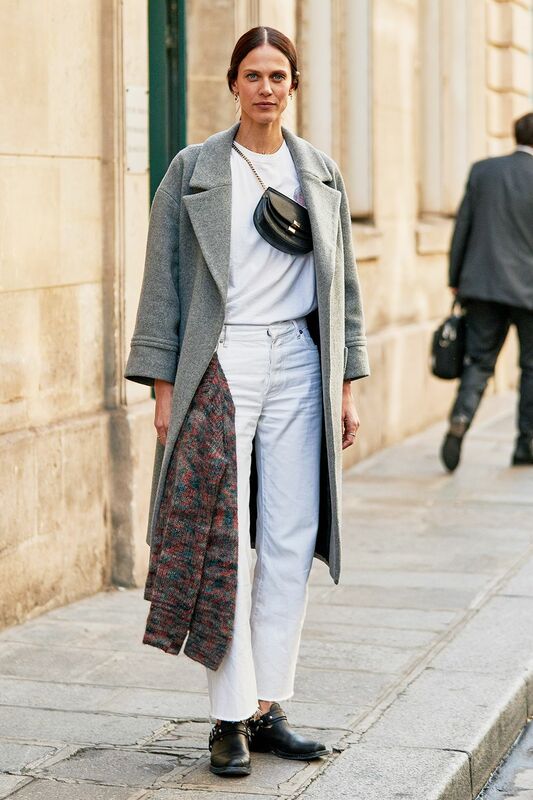 Style Notes: This street styler makes a strong case for the maxi kilt (yes it’s a thing), although this outfit formula would work with any midi skirt and jumper pairing—the secret is to cinch it all together with a waist belt. Style Notes: Leather is everywhere at the moment, and not only in biker jacket form. Case in point: this cool ankle-grazing number doubles up as shirt dress and coat. Very Matrix. Style Notes: Another installment of ‘how to wear your midi skirt for autumn’ thanks to Who What Wear columnist Lisa Aiken. Style Notes: If all else fails, reach for a show-stopping coat like this fashion week attendee. Vibrant yellow and traditional check is a winning combination. Style Notes: Fashion BFFs Courtney Trop and Reese Blutstein love good outfit match moment. Their no.1 rule? Keep colours complementary. Style Notes: It might’ve been popular in the summer, but head-to-toe white is still looking chic for the colder months. Update white jeans with a grey, single-breasted coat. 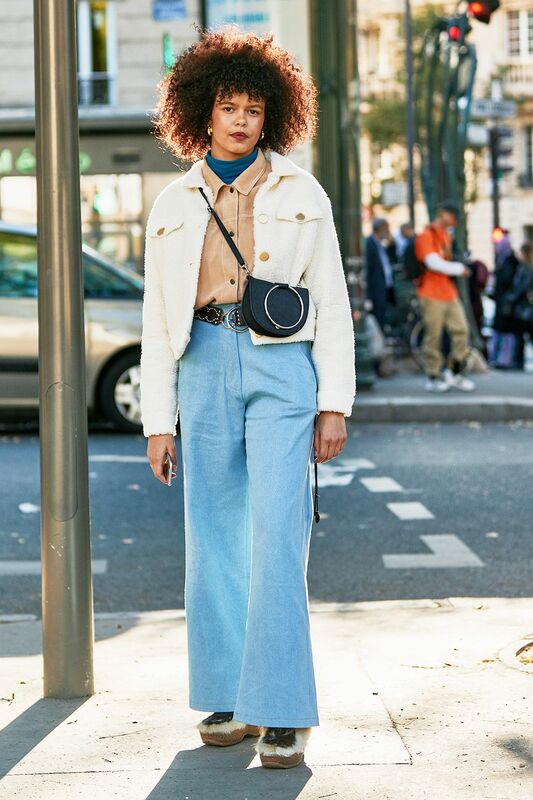 Style Notes: Parisians were all about about the beige-coloured tailored trousers this fashion week. We love how this influencer has added a sporty twist with a zip-up snakeskin top. Style Notes: Novelty jumpers needn’t be cringe: just take your cues from this show-goer and style with quirky cropped trousers and riding boots. Style Notes: A party-ready red satin gown is made fashion week-ready with a pair of pointed snakeskin boots. Style Notes: Everyone at Who What Wear HQ is obsessed with this outfit. From the blue flared trousers to the clever jacket layering, this is mid-season perfection. Style Notes: Suits are still going strong and this checked two-piece worn by Camille Charriere stays cool rather than corporate thanks to Converse and a white tee. 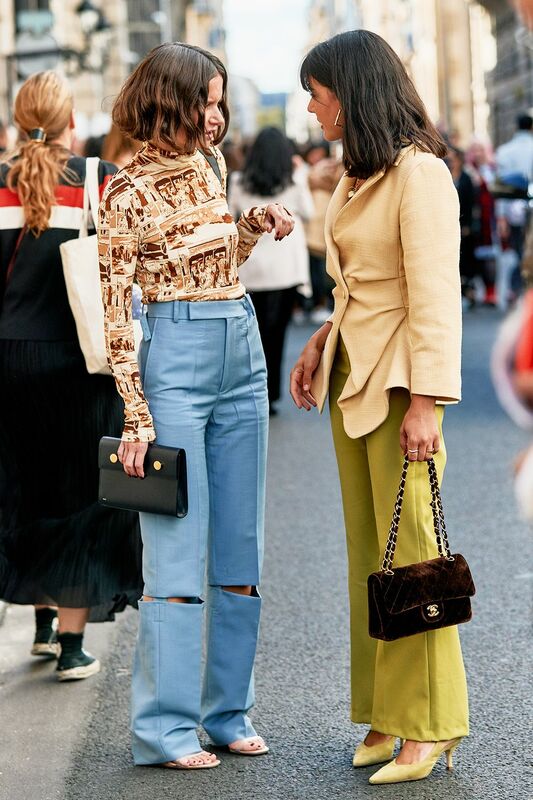 Style Notes: This stylish pair are giving us plenty of inspiration for how to wear colour in autumn. Powder blue and sage green are the hues to look out for. Style Notes: A colour pop orange blazer is just what the doctor ordered for end-of-summer blues. Style with neutral separates (’90s bucket hat optional). Style Notes: Zebra print is set to rival leopard this season and a pair of printed trousers will liven up any ensemble. Style Notes: Your summer slip skirt has more longevity than you think—just style with a roll neck, ankle boots and patent coat for cooler climes. Style Notes: It’s the Jigsaw knit everyone has been talking about. Wear with mid blue jeans and stilettos for a fashion week finish. What’s Your Favorite Look From Fashion Week? Sound off in the comments.